All Biology students at Valencia High School (VHS) are learning about ecology and ecosystems. This year, the students have been assigned to research a specific issue that has a harmful effect on Valencia’s ecosystem due to human influence and unsustainable practices. In this project, they must provide and collect actual data of the problem/issue that is occurring at VHS. They were tasked with coming up with a creative and realistic solution to present to the class. Students must also consider the budget of Valencia and try to make their solution as affordable as possible or even give back to the school or community. Students must conduct their own research and look into the systems of Valencia such as energy, water, and food services. The best projects and solutions chosen from each class will then move on to present their proposal to the Principal, Mrs. Yaung, for extra credit as well as the opportunity for their idea to be implemented at Valencia. By gaining knowledge of the hazards that impact the school, the students have the ability to take part in possibly alleviating some of the damage and help prevent it from occurring in the future. In partnership with the Placentia-Yorba Linda Unified School District (PYLUSD), VHS provided the Tigers with two amazing opportunities. 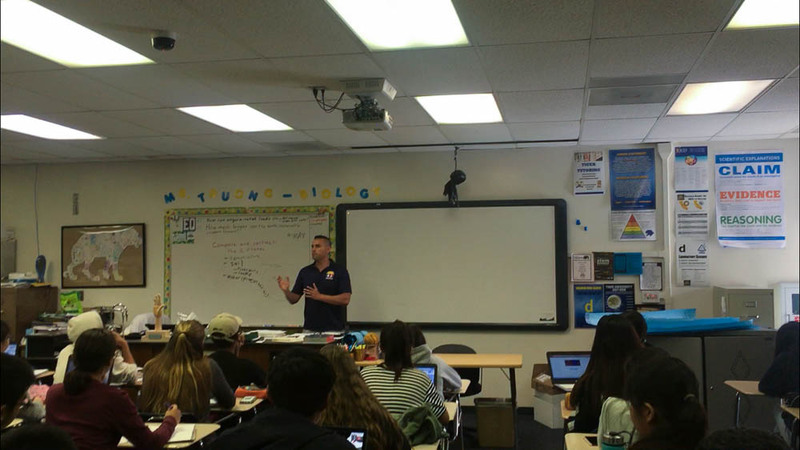 On Monday, April 30, Paul Juarez, an Energy Manager for PYLUSD, was able to come during lunch to do a Q & A session with students. 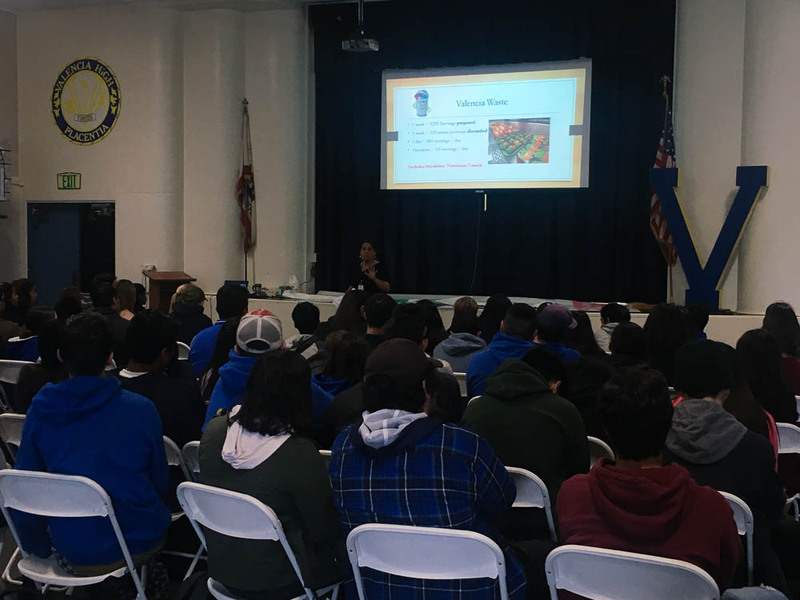 Also, on Wednesday, May 2, Suzanne Morales, the PYLUSD Director of Nutrition Services, provided a presentation to all Biology classes throughout the day as well as a Q & A session. Be the first to comment on "Biology students at Valencia research harmful effects on ecosystem with help from PYLUSD visitors"